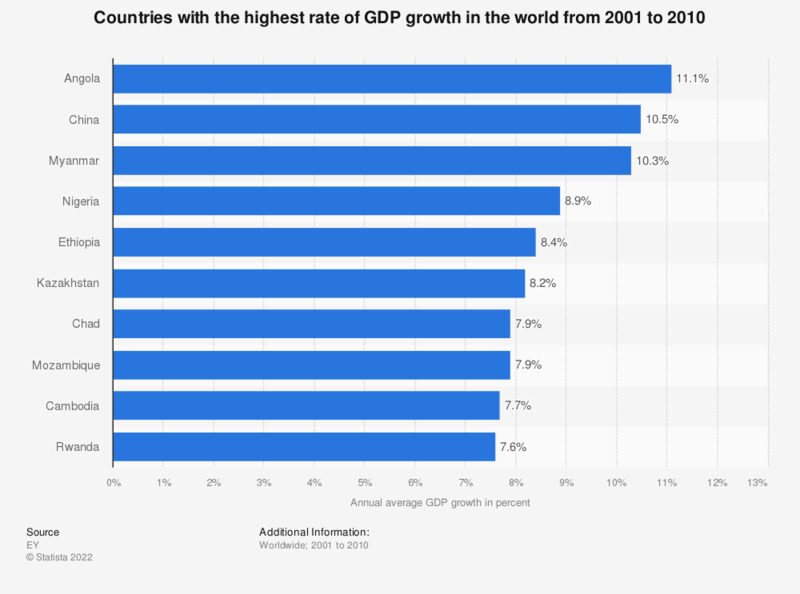 This statistic shows the ten countries with the fastest growing economies in the world from 2001 to 2010. Over the past decade, Angola has demonstrated the fastest economic growth rate with average annual GDP growth sitting as high as 11.1 percent. The overall quarterly GDP growth in the United States can be found here.